Luca Footwear was founded in 1968 by the entrepreneurial spirit of the three brothers Luca. 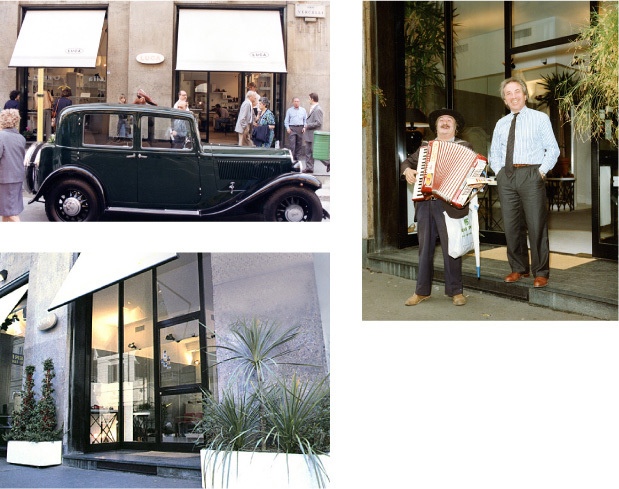 The company decided considerable development of the following years, culminating in 1977 with the opening of the large store of Corso Vercelli in Milan, the heart of an area strategically commercial city. In 1997, with the inauguration of the store Luca Simone in the gallery of Corso Vercelli, is created the new brand man woman from the impression more casual–chic. The lines of accessories for men and women over time alongside the offer footwear, interpreting and meeting the needs of customers strongly subway, lover of the contents of style from classical–contemporary vein. With over forty years of experience in the field, Luca Footwear is the reference of prestige for the collections researched, synthesis of elegance and glamor of Milan look purest.